Constipation is a pain, literally and figuratively. 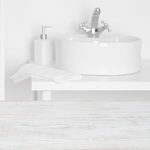 Over-the-counter laxatives are often pushed as the quick fix, but they're not without their problems. Even some so-called natural laxatives can cause pain and side effects. Herbal laxatives can produce unpleasant cramping. Stimulant laxatives are just harsh and require that you set aside your entire day in order to manage the violent effects they produce. What if there was a way to relieve constipation and it was inexpensive, non-invasive, free of nasty side effects, and you could perform it yourself? There is, allow me to introduce you to abdominal massage. 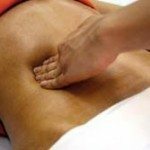 How Effective is Abdominal Massage as a Natural Laxative? Has abdominal massage helped to relieve your symptoms of constipation? Please leave a comment and share your experience! Even though it’s not a laxative, another option you may want to consider for relieving occasional constipation is an oxygen based colon cleanser, like Oxy-Powder®. Oxy-Powder uses the gentle, but effective, power of oxygen to liquefy and release stubborn stool in your intestines. You don’t have to commit to a 7 day cleanse to experience the benefits, either. We get many positive reports from people who take 4-6 capsules before going to bed and experience relief when they wake up the next morning. McClurg D, Lowe-Strong A. Does abdominal massage relieve constipation? Nurs Times. 2011 Mar 29-Apr 4;107(12):20-2. Review. Jeon SY, Jung HM. The effects of abdominal meridian massage on constipation among CVA patients. Taehan Kanho Hakhoe Chi. 2005 Feb;35(1):135-42. Korean. Gomes Silva CA, Almeida Motta ME. The use of abdominal muscle training, breathing exercises and abdominal massage to treat pediatric chronic functional constipation. Colorectal Dis. 2013 Feb 1. doi: 10.1111/codi.12160. Kim MA, Sakong JK, Kim EJ, Kim EH, Kim EH. Effect of aromatherapy massage for the relief of constipation in the elderly. Taehan Kanho Hakhoe Chi. 2005 Feb;35(1):56-64. Korean. Harrington KL, Haskvitz EM. Managing a patient's constipation with physical therapy. Phys Ther. 2006 Nov;86(11):1511-9. Lämås K, Graneheim UH, Jacobsson C. Experiences of abdominal massage for constipation. J Clin Nurs. 2012 Mar;21(5-6):757-65. doi: 10.1111/j.1365-2702.2011.03946.x. Epub 2011 Nov 21.